International team of designers enlisted for "Summit Powder Mountain" - Archpaper.com International team of designers enlisted for "Summit Powder Mountain"
From the highest point of land, it’s possible to see four states. There are eight national parks within a day’s drive. The closest towns are named Eden and Paradise and the area gets an average of 500 inches of snow every year. This is the mountain setting where entrepreneurs have set out to build a visionary arts and skiing community aimed at inventors and other creative types from around the world. To guide construction, they have assembled a diverse team of designers, land planners, and specialists in alpine architecture from places like Studio MA in Salt Lake City, Utah, Skylab Architecture in Portland, Oregon, and Saunders Architecture in Bergen, Norway. The community is called Summit Powder Mountain. The site is a 10,000-acre parcel (including 8,464 skiable acres) in Utah, an hour’s drive north of Salt Lake City. It’s in the region where Utah meets Idaho, Nevada, and Wyoming. The owners say it’s the largest ski area in the country. Its name comes from Powder Mountain, part of the Wasatch Range in northern Utah, and the Summit Series, an organization that was founded in 2008 and hosts conferences and events for young entrepreneurs, artists, and activists. The community is aiming to take its place among other well-known ski and resort destinations in the Western U.S. Summit Powder Mountain is a joint project of Greg Mauro, chairman of Powder Mountain, and the Summit Series. Principals of the Summit Series are Elliott Bisnow, Brett Leve, Jeff Rosenthal, and Jeremy Schwartz. 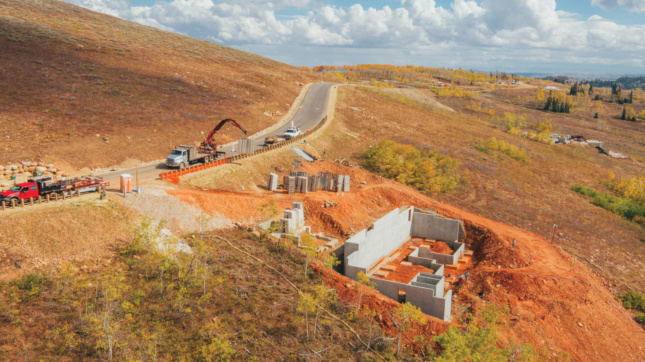 They have formed a company called SMHG LLC, trading as Summit Powder Mountain, which operates the Powder Mountain Ski Resort and serves as developer of the community. Summit Series is its anchor tenant. The developers have studied other planned communities, including Sea Ranch, California, and Serenbe, Georgia, and developed a set of standards and controls. 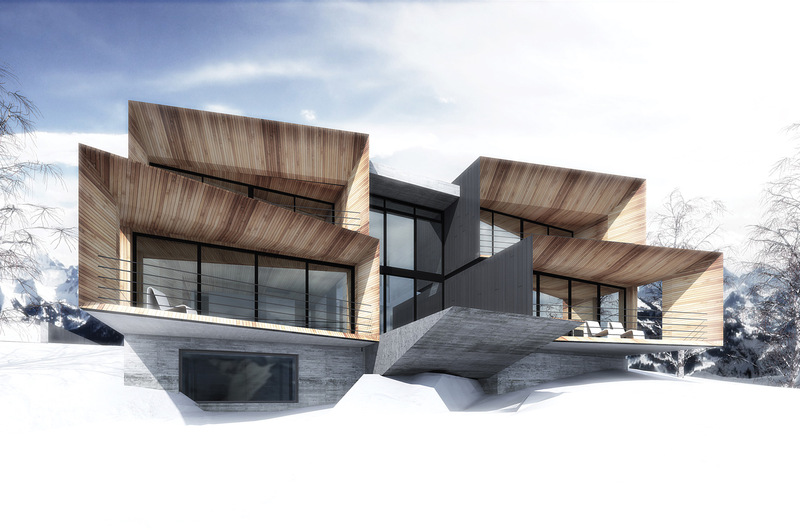 They talk about pioneering a design aesthetic they call “modern mountain” architecture. Investors include Sir Richard Branson of the Virgin Group; Island Records founder Chris Blackwell; Gayle Troberman; Sue Turner; Ken Howery; and Bob and Darcy Bingham. The developers claim that Summit Powder Mountain will be a place for intellectual stimulation as well as recreation, a setting for “leading-edge dialogues and hosted discussions, world class performances and farm-to-table dining experiences.” Besides their flagship event series, they have a resident chef, and are planning opportunities for crafts, sports, and wellness programs. The Summit community shares “a philosophy of innovation, creativity, cultural enrichment, and environmental conservation,” according to its website. Danish architect Bjarke Ingels, no stranger to skiing and Alpine architecture, has come to lecture several times, but is not working on any specific project. Other visitor-lecturers have included Daniel Arsham of Snarkitecture in New York and Jenny Wu and Dwayne Oyler from the Oyler Wu Collaborative in Los Angeles and the Southern California Institute of Architecture (SCI-Arc). 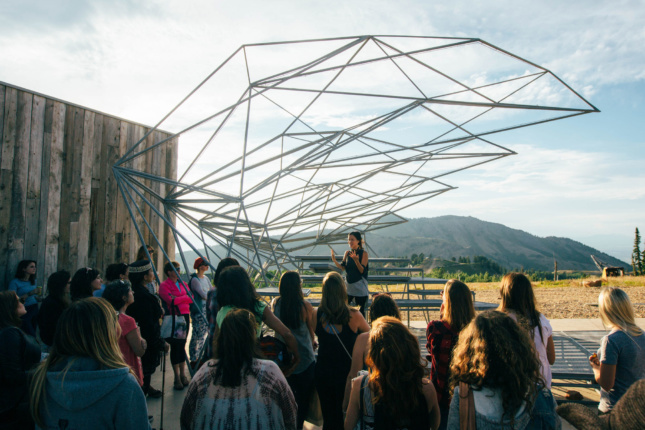 In 2014, Wu took part in the Summit Artist-in-Residence (AIR) program. In shaping this self-sufficient community, the team has developed a strong vision for architecture and land planning. “Modern mountain design and natural preservation” are core values, and architecture will be “subservient” to the landscape. The community will have two distinct areas. One is called the Ridge, where home sites and “nests” will offer “unrivaled multistate views, easy ski access, and mountain quietude,” said Arthur. Many of these homes will sit on parcels of more than half an acre. Arthur explained that “modern mountain” architecture does not necessarily mean a throwback to midcentury modernism. He said the buildings would be modern in the sense that form follows function, and floor plans are open and take advantage of natural light and views. “It’s modern in the way they are used, not modernist” as a style, he continued. The land was originally a ski resort started by the Cobabe family in 1972. Before that, it was the family’s sheep ranch. Summit Powder Mountain has been in the planning stages for several years. One of the first new buildings is the Skylodge, which was designed by Jeff Kovel of Skylab and completed in 2013. The project moved to a new phase last summer, when construction began on the first residences. The developers are working with a number of architects and planners. 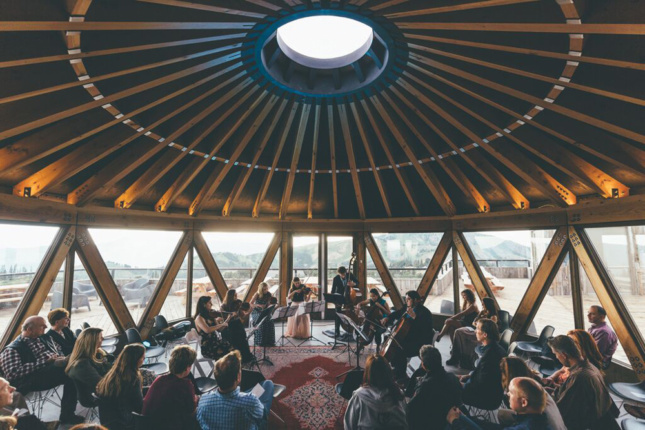 Besides Studio MA, Skylab, and Saunders, the list includes: Elliott Workgroup in Park City, Utah; Langvardt Design Group in Salt Lake City; and R&A Architects in Los Angeles. Other architects involved include Sparano + Mooney in Salt Lake City; Marmol Radziner in Los Angeles; Bicuadro Architects in Rome; Bertoldi Architects in Ogden, Utah; Olson Kundig in Seattle; PBW Architects in Seattle; and Grupo H in Slovenia. The initial elements of the Village will take about 24 months to complete. Construction of the entire community is expected to take place over the next 20 years.